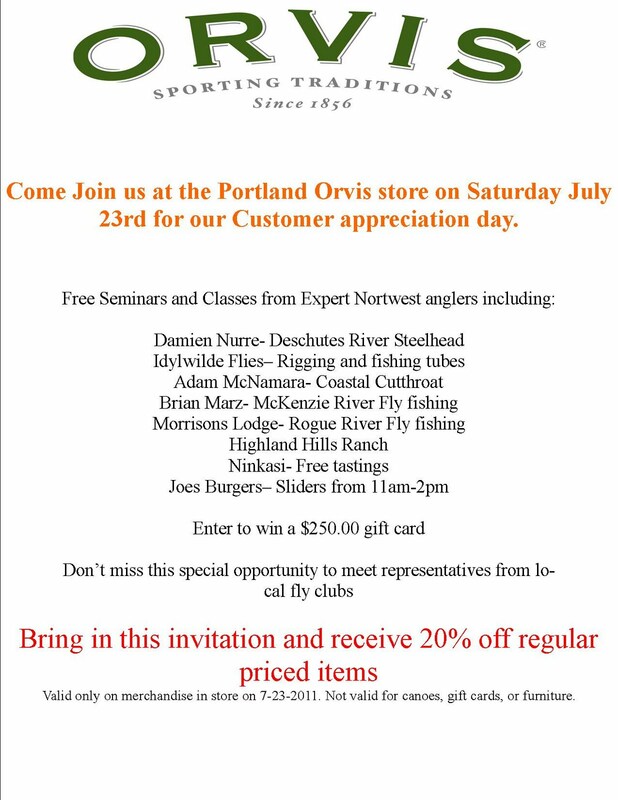 This coming Saturday July 23rd, there will be a customer appreciation day at the Portland Orvis store in Bridgeport Village. 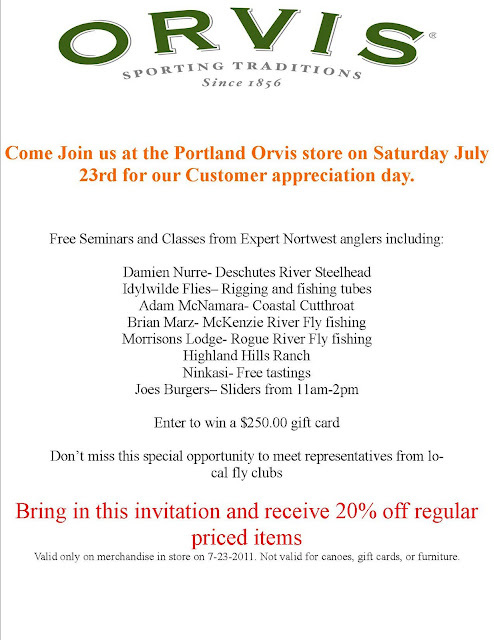 There will be presentations, beer tasting, sliders, and a store wide sale too. We are going to have a fun fly casting setup too for playing around in the parking lot. Below is a invitation; so print it out and come by to participate in this fun event. Summer Steelhead Whooping! Check this out!